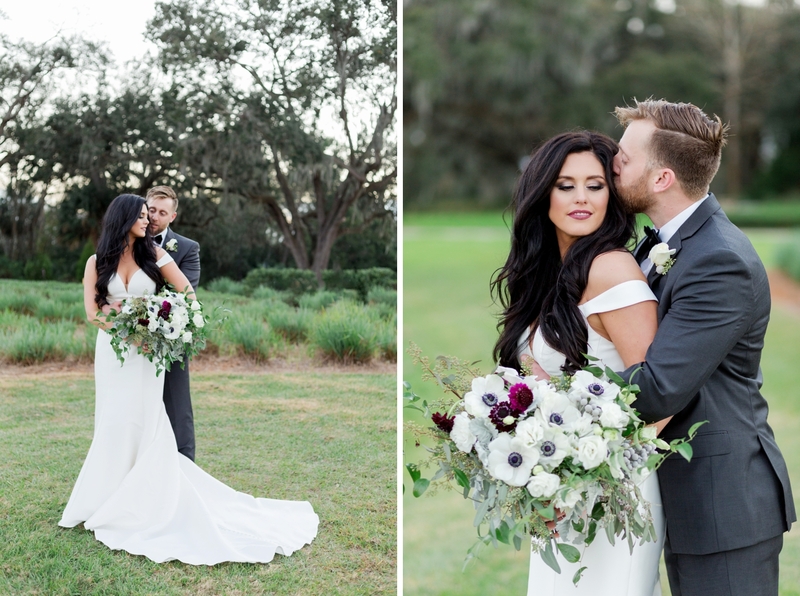 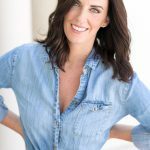 After meeting through a mutual friend, and then a surprise proposal in the atrium at the Gaylord Palms, Jenna and Lee have had a beautiful romance supported by their friends and family. 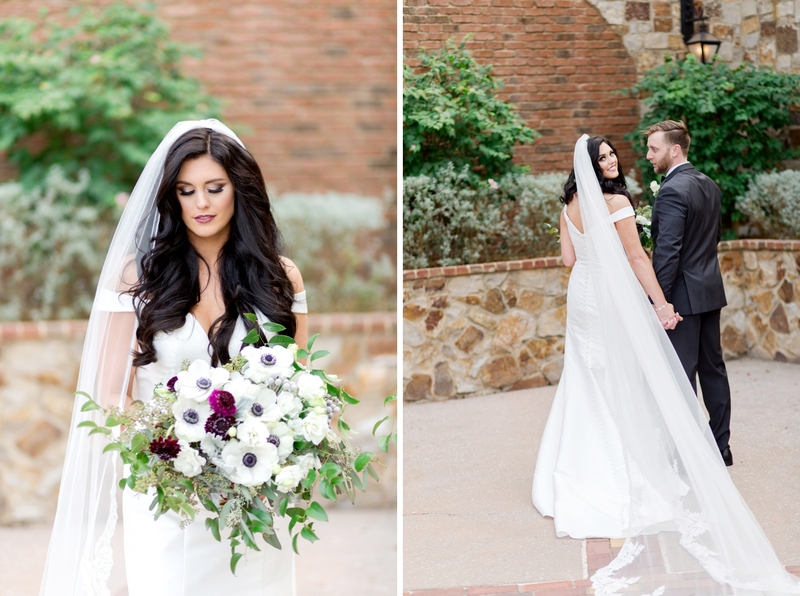 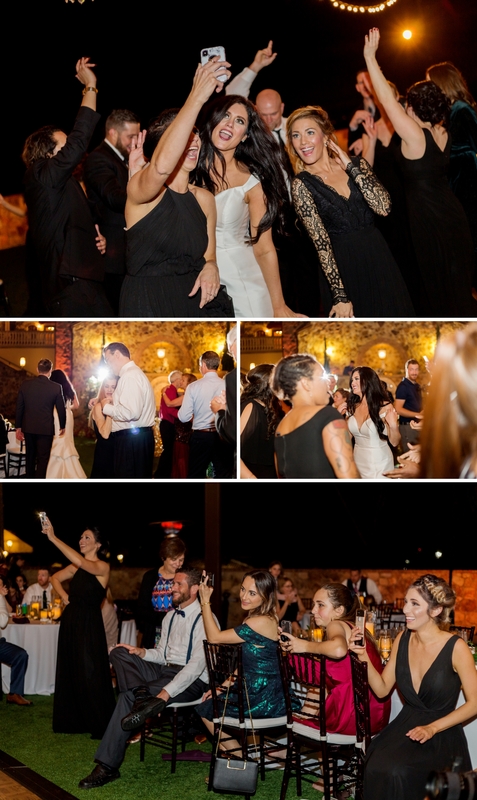 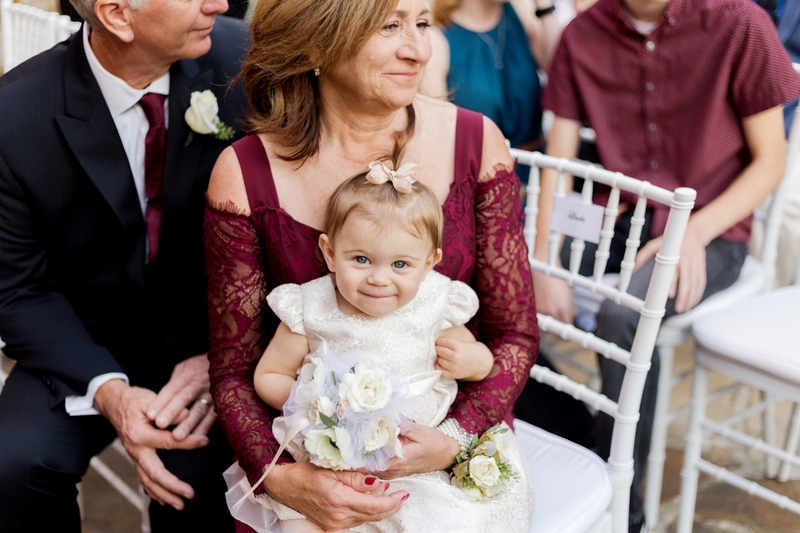 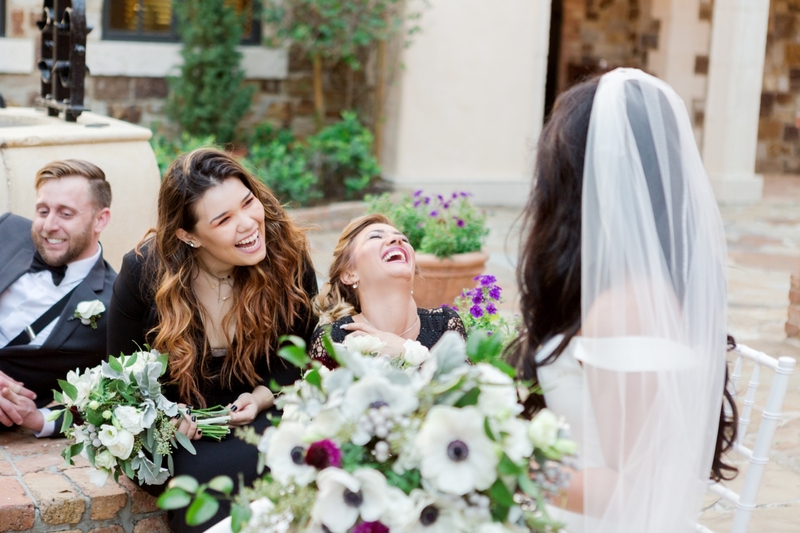 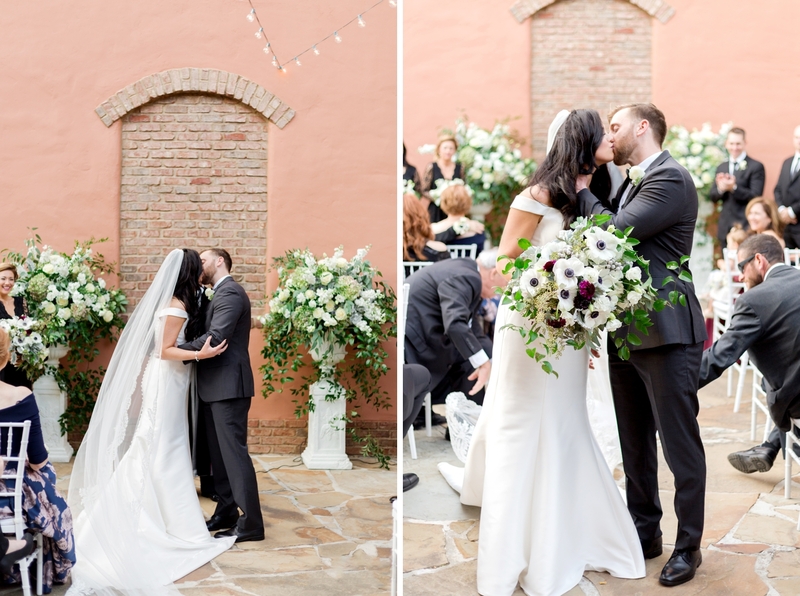 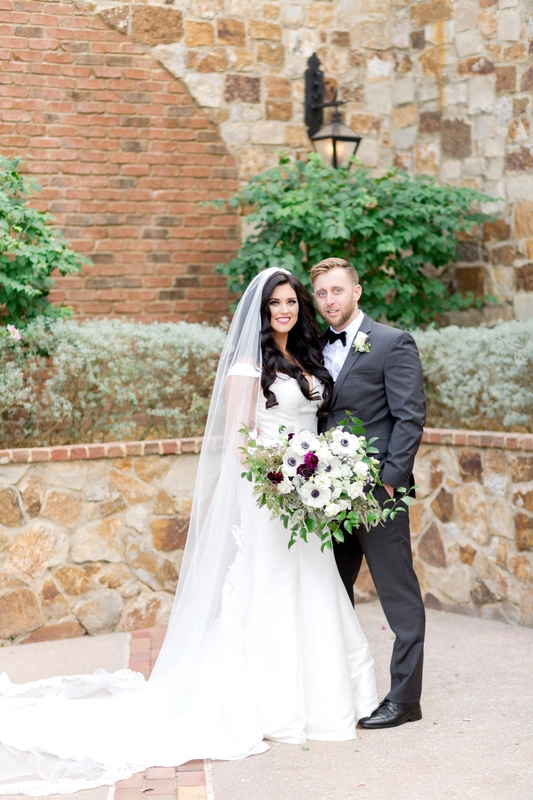 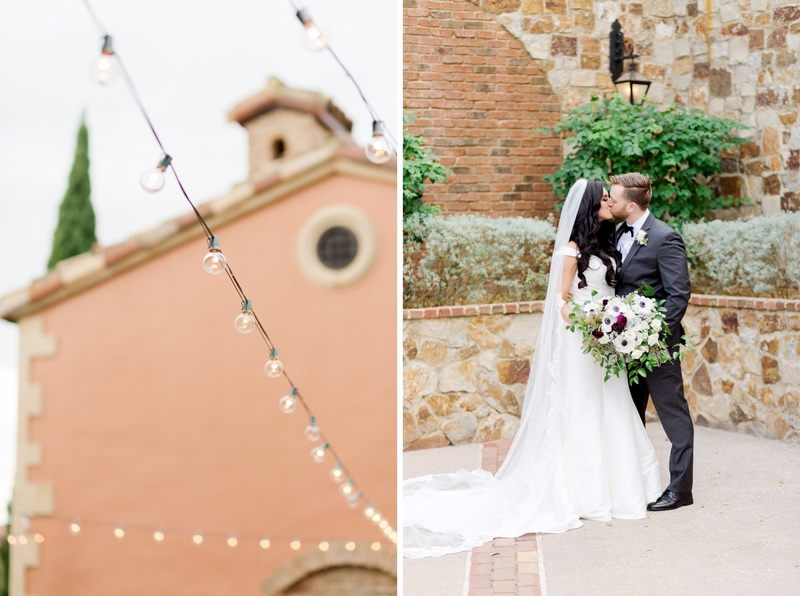 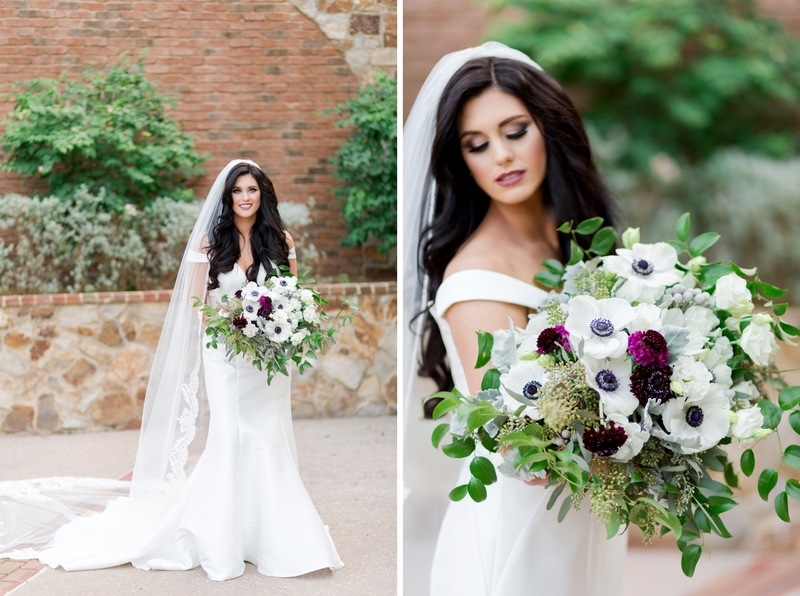 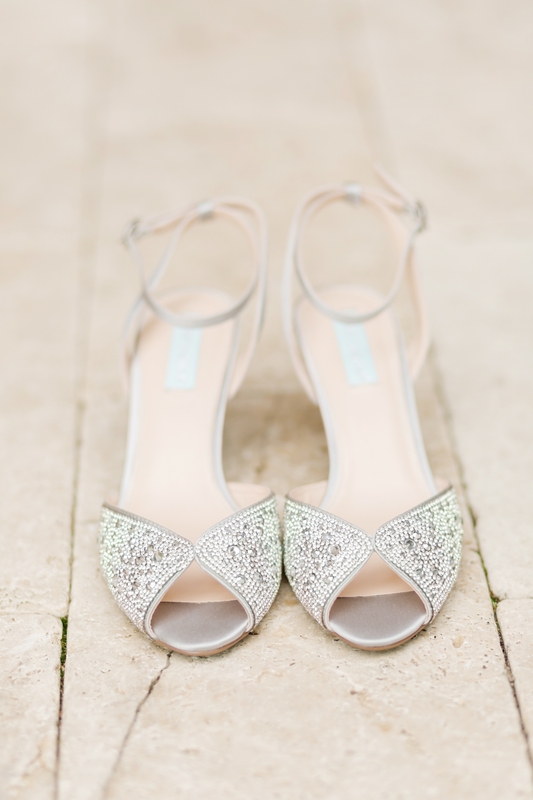 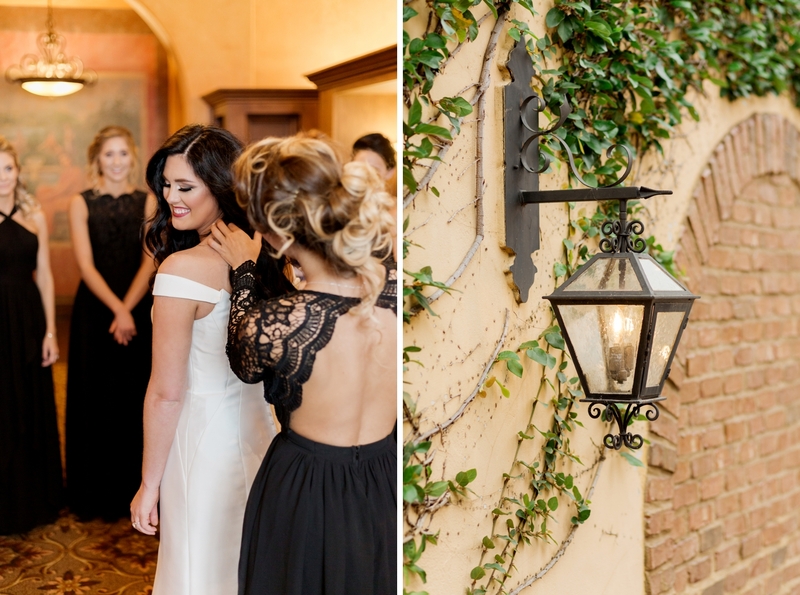 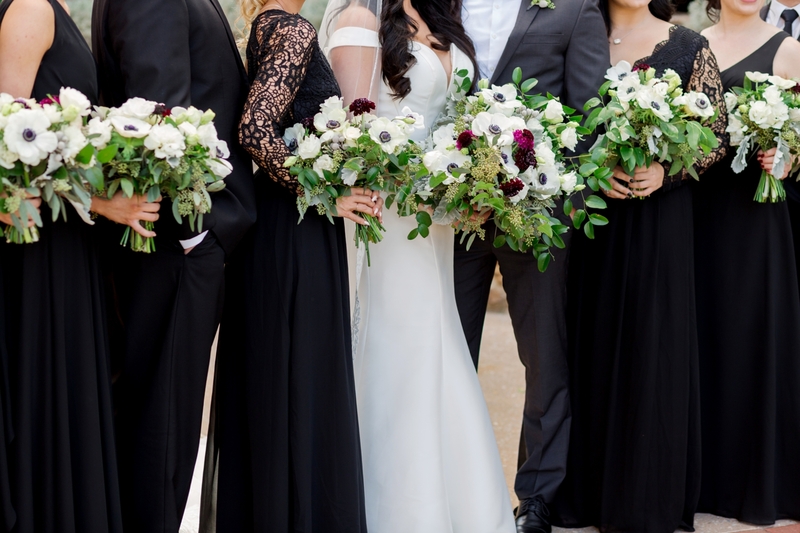 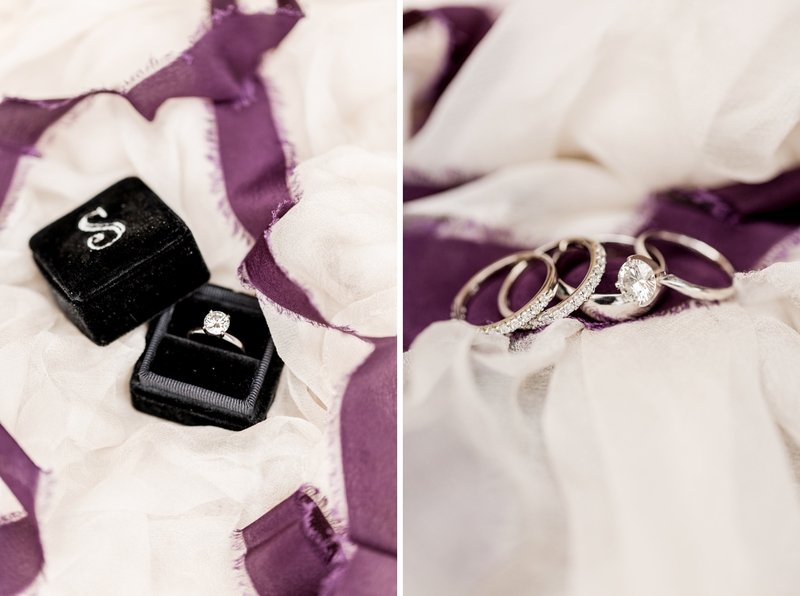 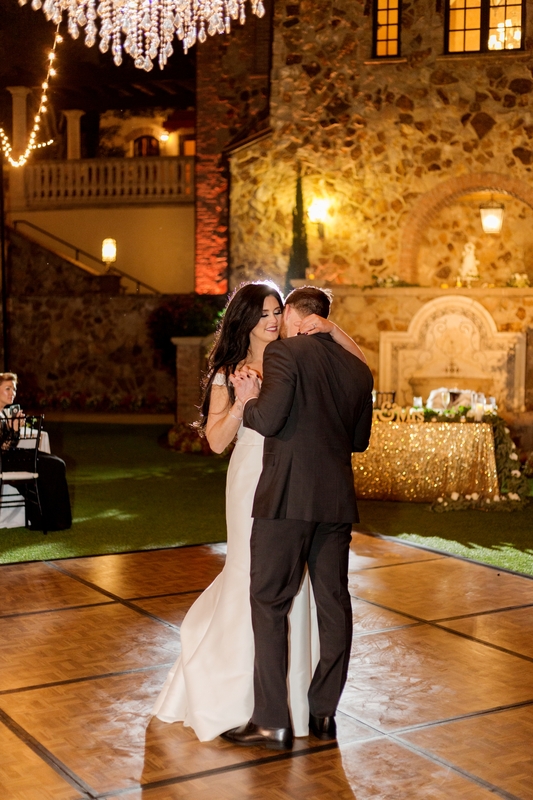 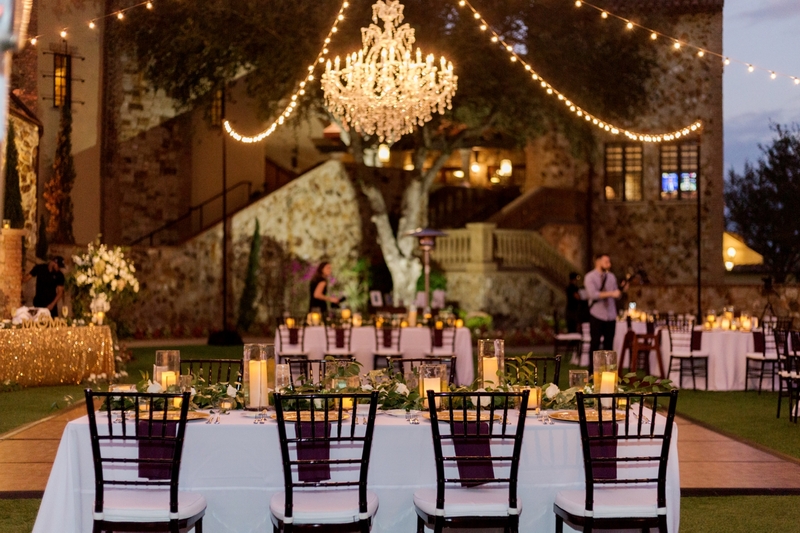 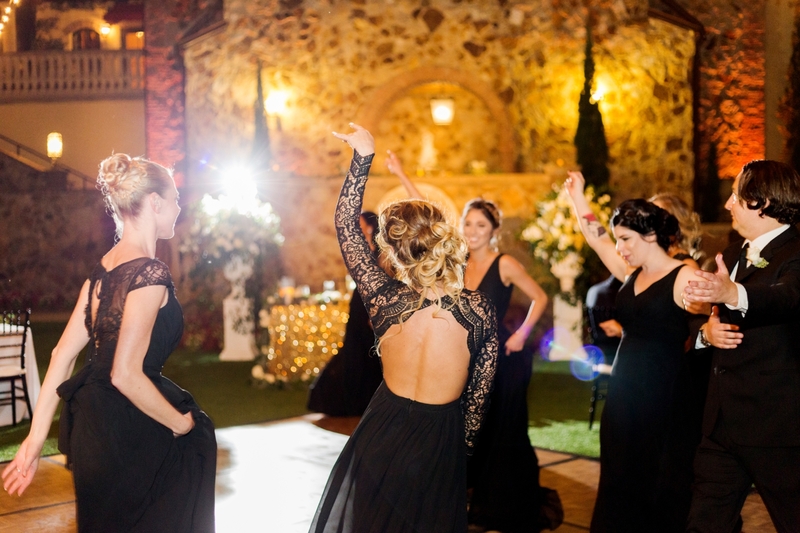 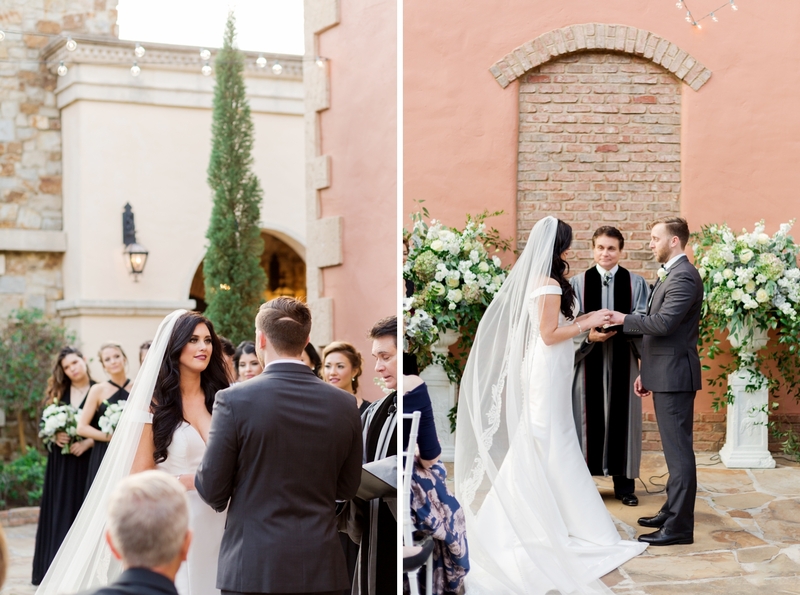 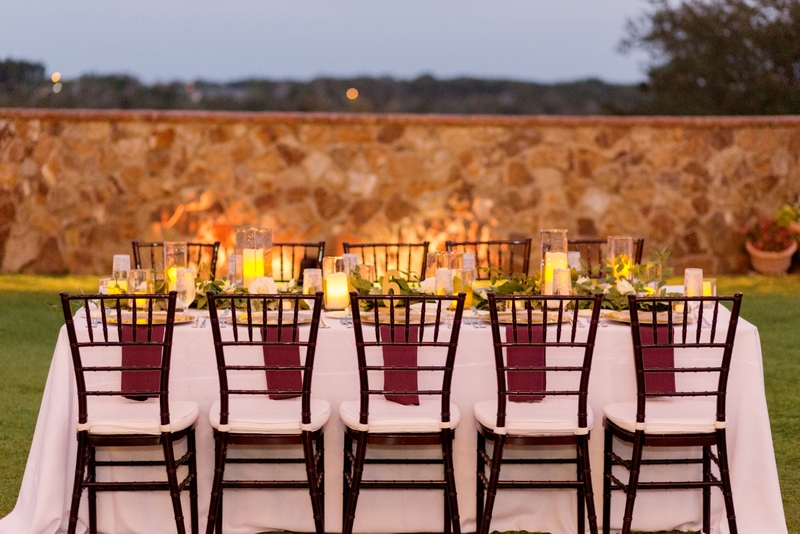 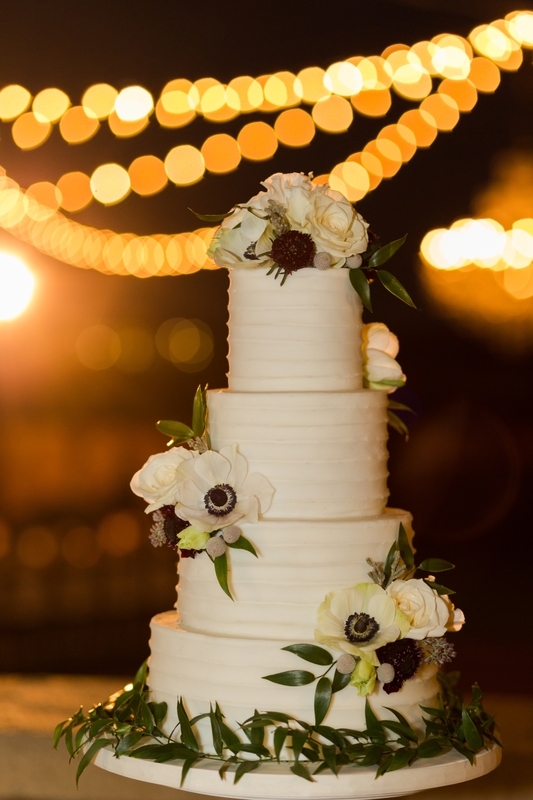 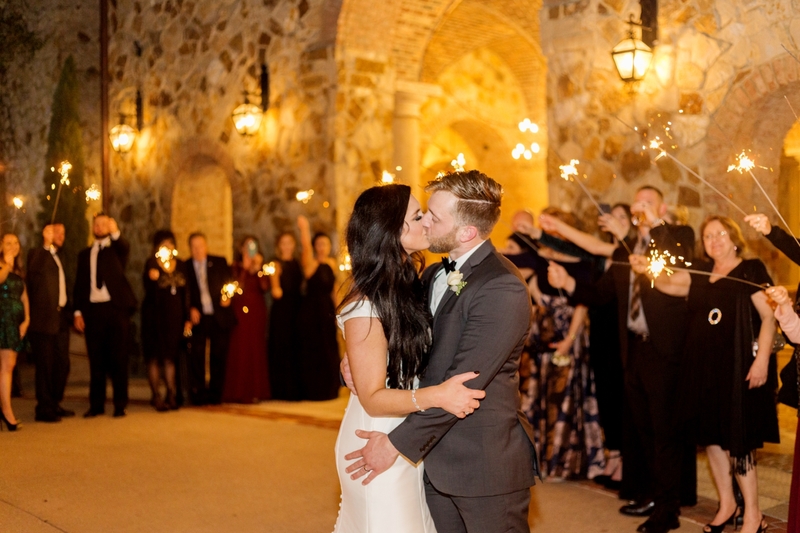 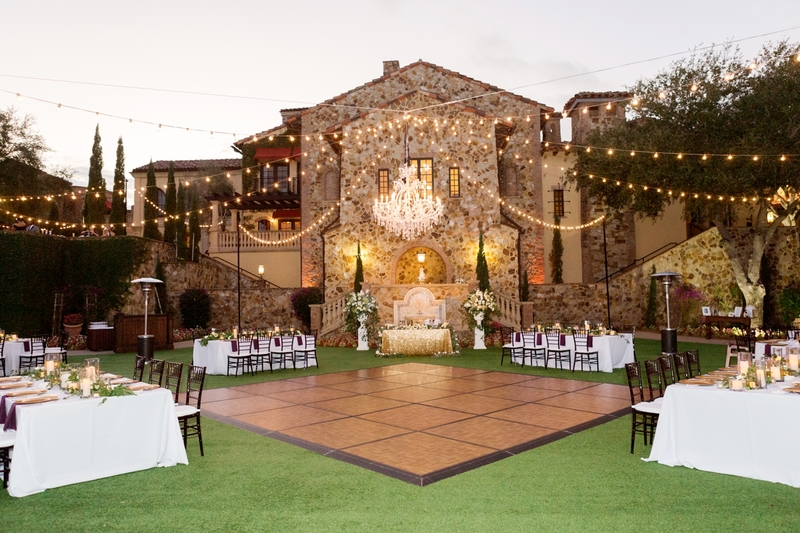 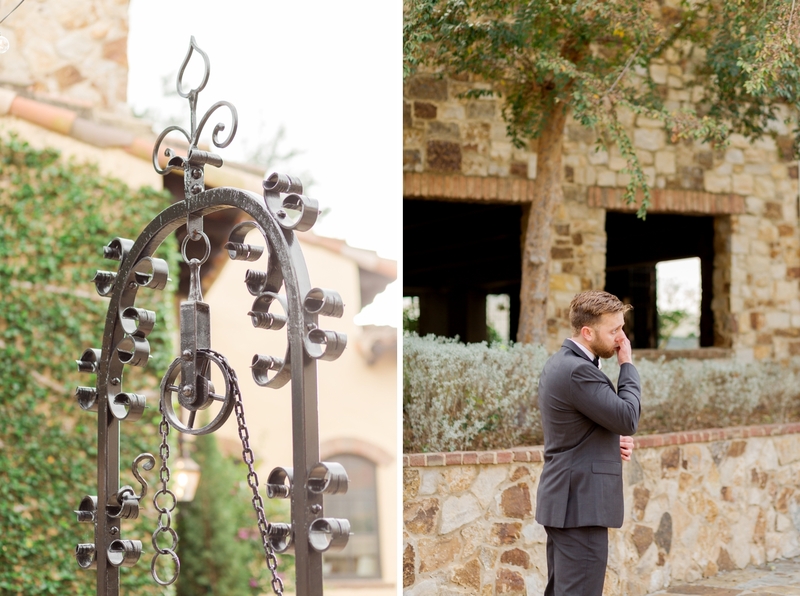 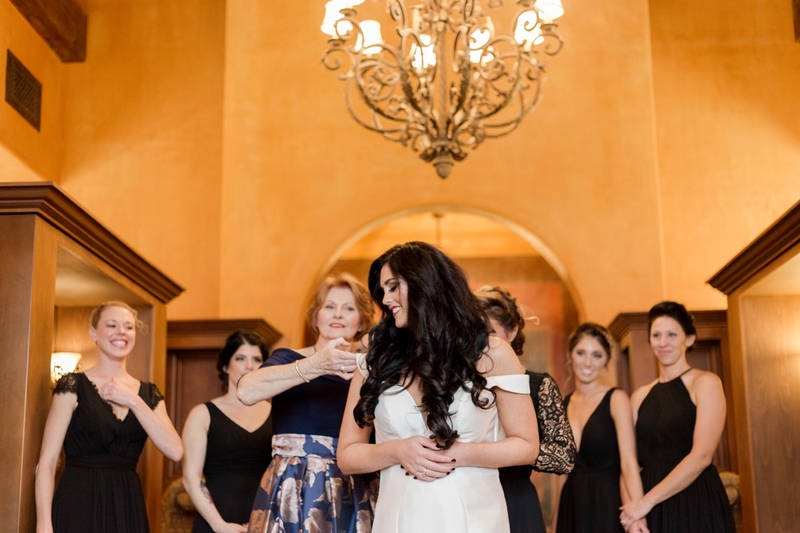 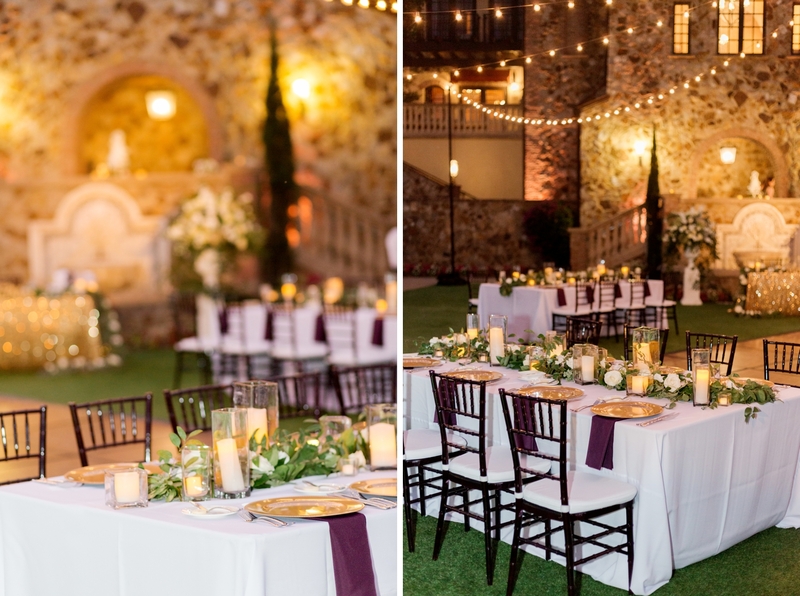 So it was the perfect celebration, choosing an intimate Bell Tower wedding at Bella Collina! 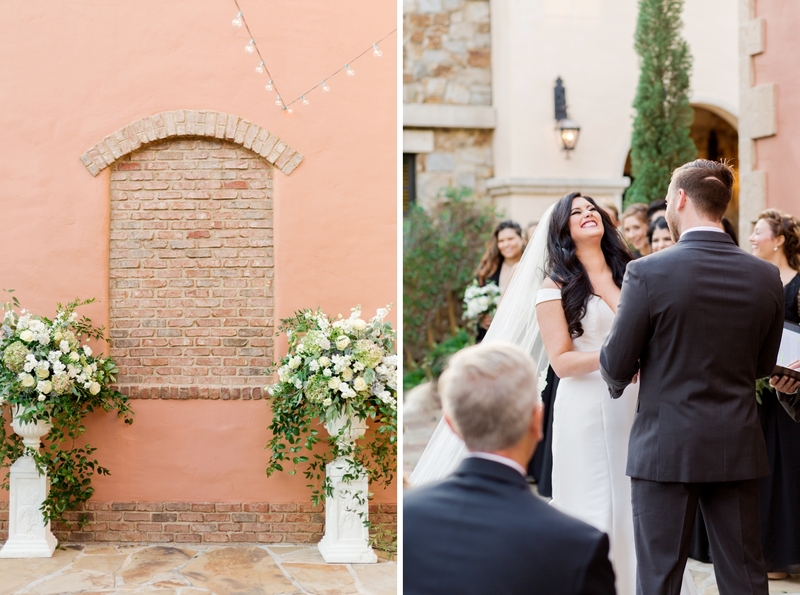 One of our favorite parts of the wedding day was Lee and Jenna’s first look. 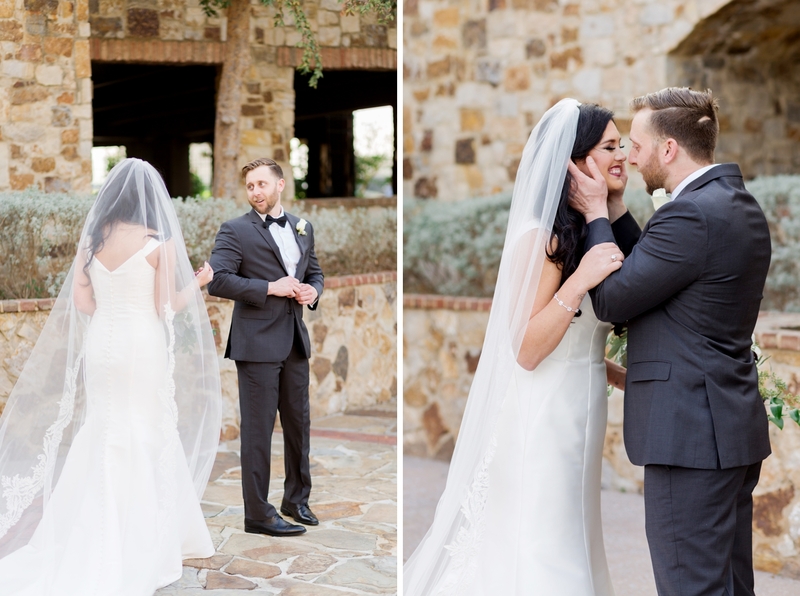 They were both so emotional and we loved Lee’s reaction! 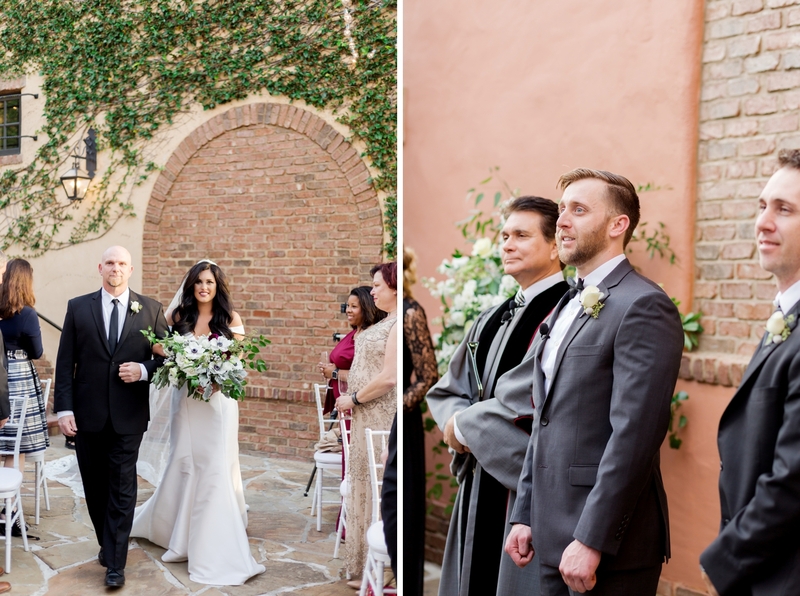 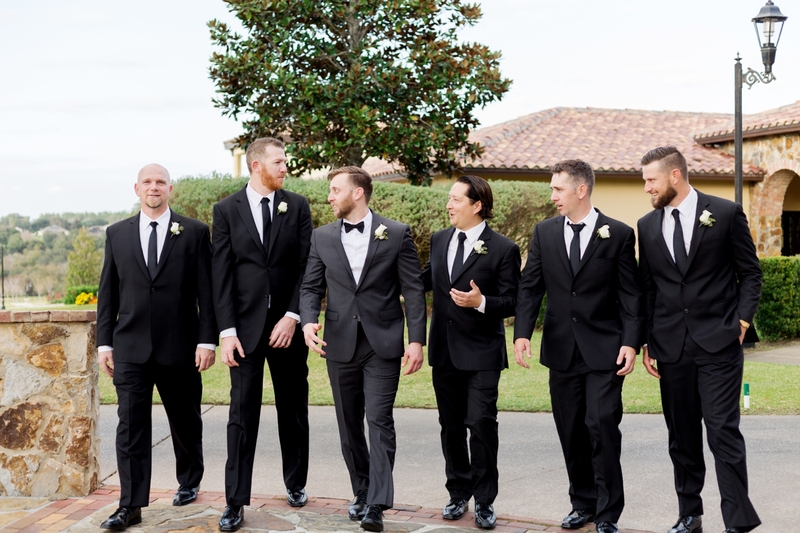 But it didn’t stop there – everyone was emotional when Jenna’s brother walked her down the aisle! 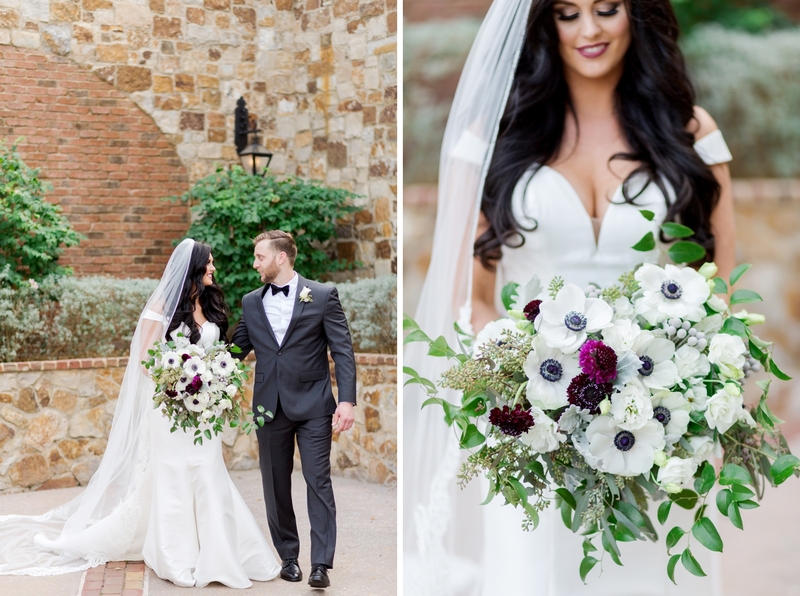 Lee and Jenna chose a classic, romantic wedding day style with lush floral arrangements, market lights and simple table decor. 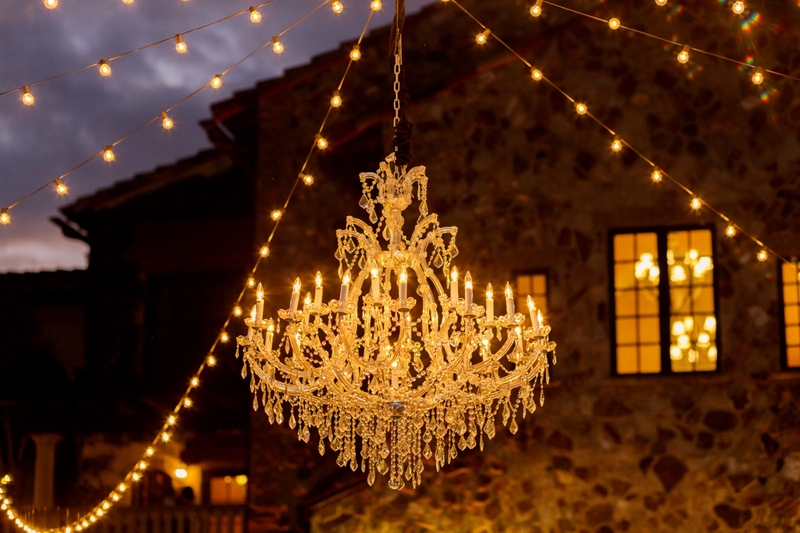 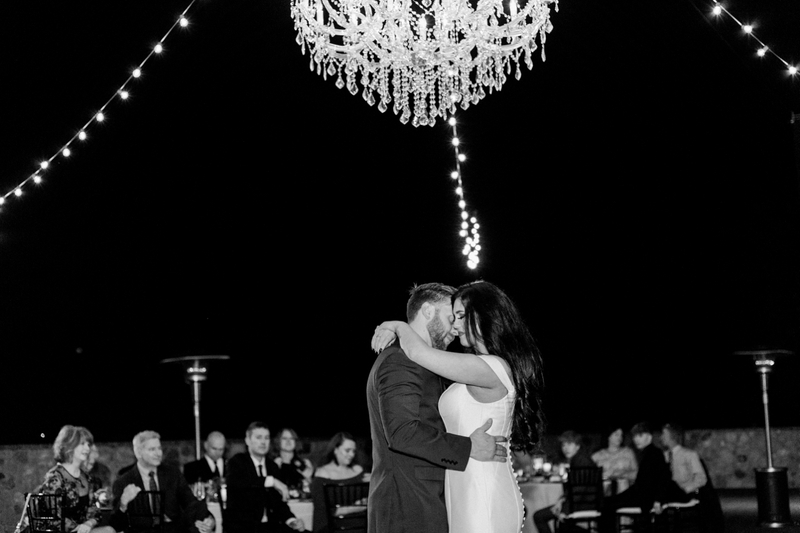 A chandelier hung over the dance floor and lit up the perfect evening sky for their friends to dance the night away! 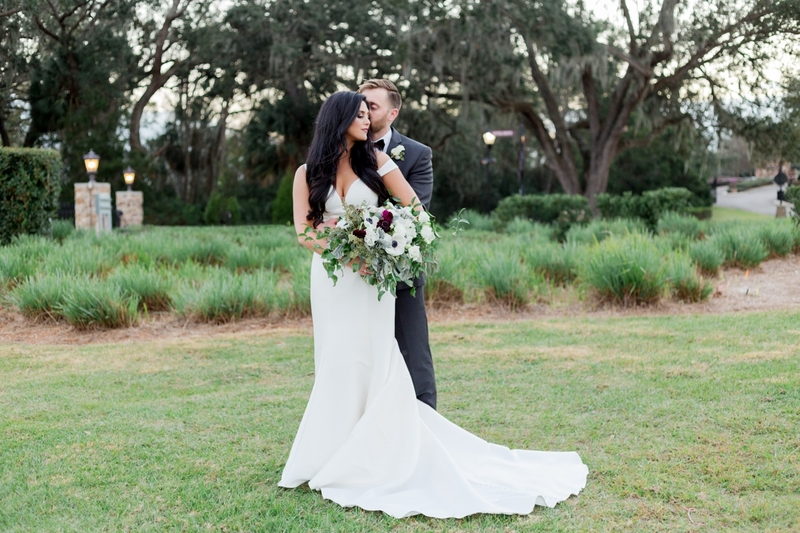 After the wedding, Jenna and Lee went on a mini-moon to Vero Beach to celebrate their marriage!